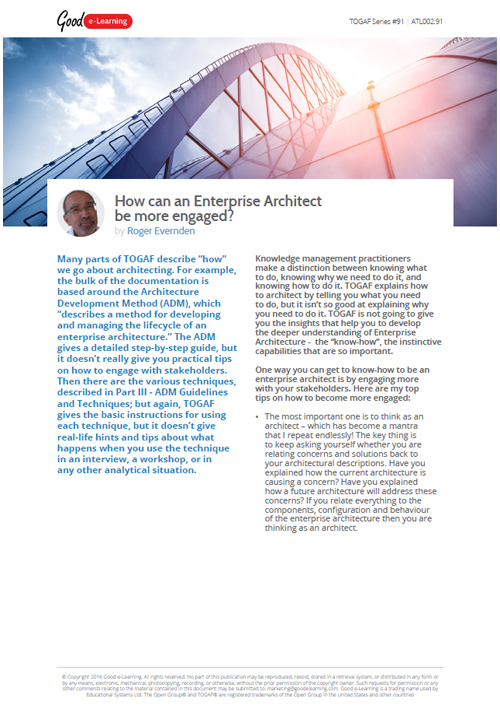 TOGAF: How can an Enterprise Architect be more Engaged? An engaged EA team is vital for its success. But TOGAF doesn’t give much guidance on how to become more engaged. In this TOGAF article, Roger Evernden talks about what TOGAF offers, and provides vital tips and advice on how to become more engaged in the future of your enterprise, and the future success of your EA team.